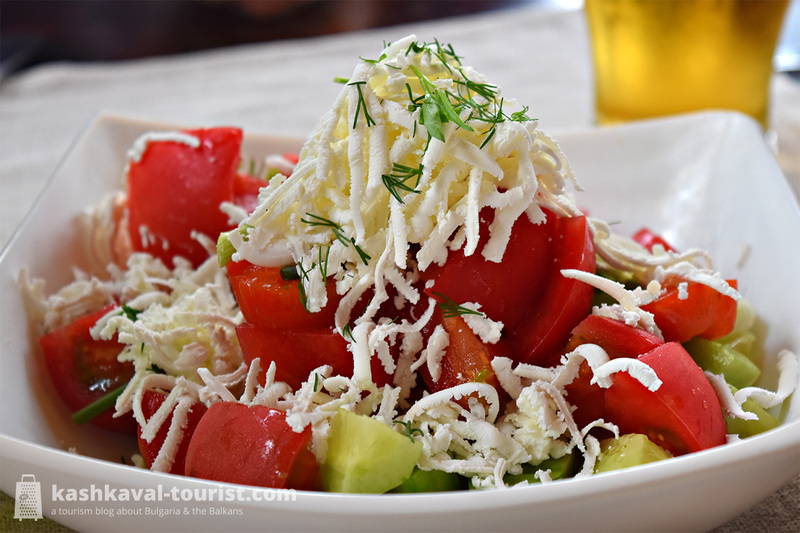 Bulgaria’s internationally-renowned salad is a simple — but effective — combo of diced tomatoes, cucumbers, onions and peppers, with grated sirene cheese and parsley on top. Whether a century-old meal of the Shopi ethnographic group (as the name implies) or a 1950s invention of communist Bulgaria’s state-owned tour operator Balkantourist, Shopska salad is the perfect appetizing companion to a shot of rakia at the start of a Bulgarian meal. Curiously, Shopska salad’s most prominent colours are white (the cheese), green (the cucumbers) and red (the tomatoes and peppers), which match perfectly to the colours of the Bulgarian national flag. A not-so-subtle hint at Shopska salad’s vital role in Bulgarian cuisine. This dish is enjoyed in many variations throughout the Balkan region. The Bulgarian version involves potatoes, eggs and minced pork meat and is a known favourite of Bulgarian men, among whom it is a popular joke that they cannot marry a woman who is unable to cook the perfect musaka. 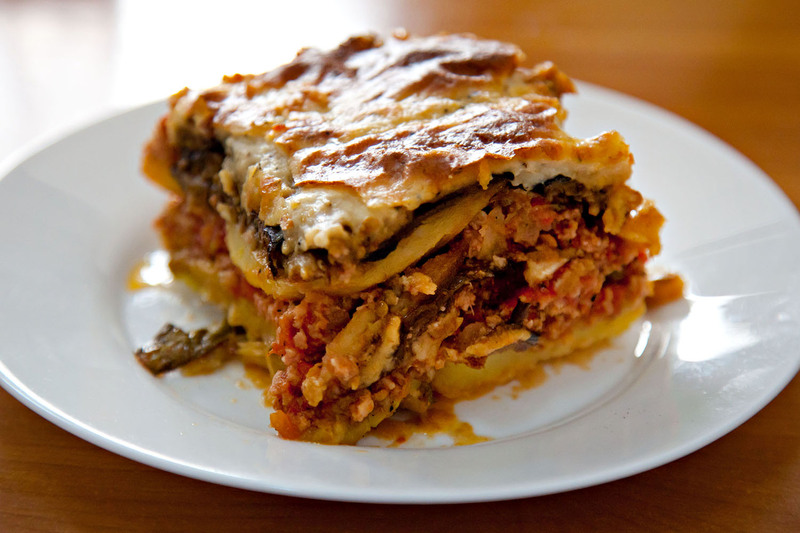 While the Greek variety of musaka may be based on eggplant, the Bulgarian dish relies strictly on potatoes to layer the meat. 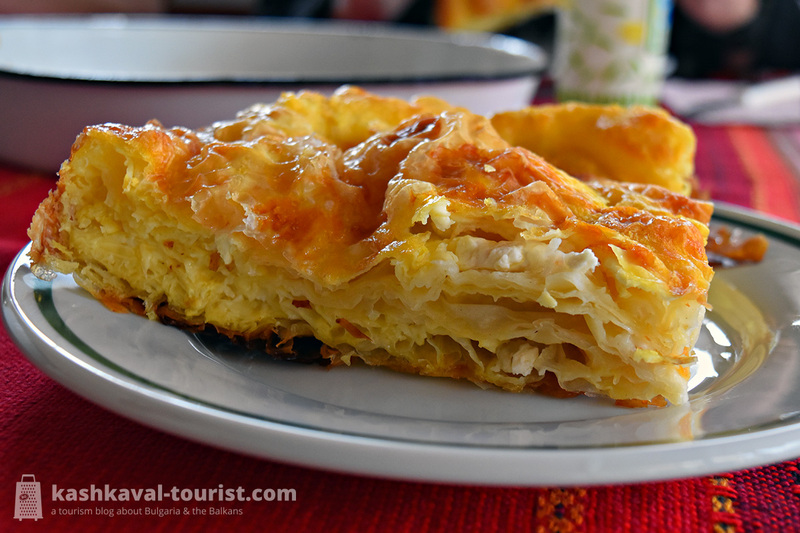 The whole thing is traditionally covered with thick Bulgarian yoghurt on top. Ask a Bulgarian and they would say this thick relish of tomatoes and peppers is the best thing you can spread on your toast. Nowadays it is commercially produced and sold in small jars, though it is still commonly made at home by many Bulgarian families. When you can smell the aroma of roasting peppers emanating from balconies throughout the country in autumn, you know homemade lyutenitsa season is soon to be upon you! Due to the onions, garlic and cumin used to make it, lyutenitsa is always going to be at least somewhat hot in taste, to which it owes it name… and its popularity. Lyutenitsa is a particular favourite of children. Parents know that a slice of bread spread with lyutenitsa (and sprinkled with sirene cheese, as everything seems to be in this country!) is one of the few ways to persuade their kid to have a snack in-between rounds of hide-and-seek in the neighborhood, for example. 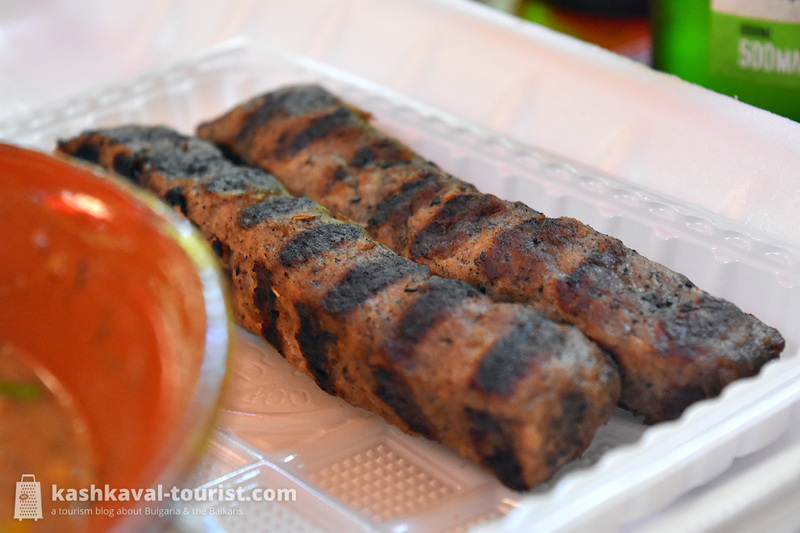 Cherished as a hangover remedy, shkembe chorba is offered by many small restaurants and is often consumed by companies during the early hours of the morning right after a night of binge drinking. And because shkembe chorba is very difficult to eat without a cold beer to accompany the hot sips, this anti-hangover strategy naturally fits with the “fight fire with fire” hangover cure that is a beer after a heavy night out. Tarator and the previous soup on the menu, shkembe chorba, couldn’t be any more different. Unlike shkembe chorba’s firey spiciness, tarator is light, refreshing and cold. A yogurt-base soup of cucumbers, garlic, dill and sometimes walnuts (and even ice cubes! 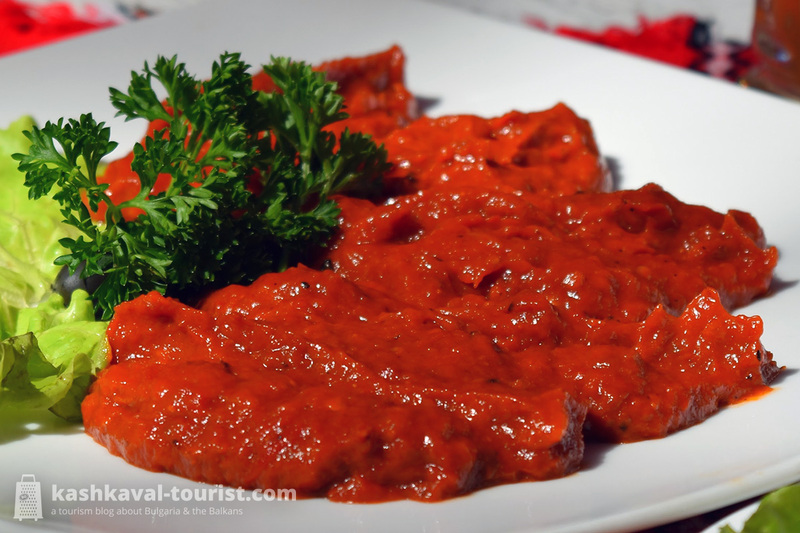 ), tarator is a must in those scorching summer days when, say, the sun has forced you into the cool shade of a small restaurant on the Black Sea coast. And if you want to try it in the comfort of your home, here’s how to prepare it! Tarator is also a great introduction to the renowned Bulgarian yoghurt, famous the world over for its health benefits. 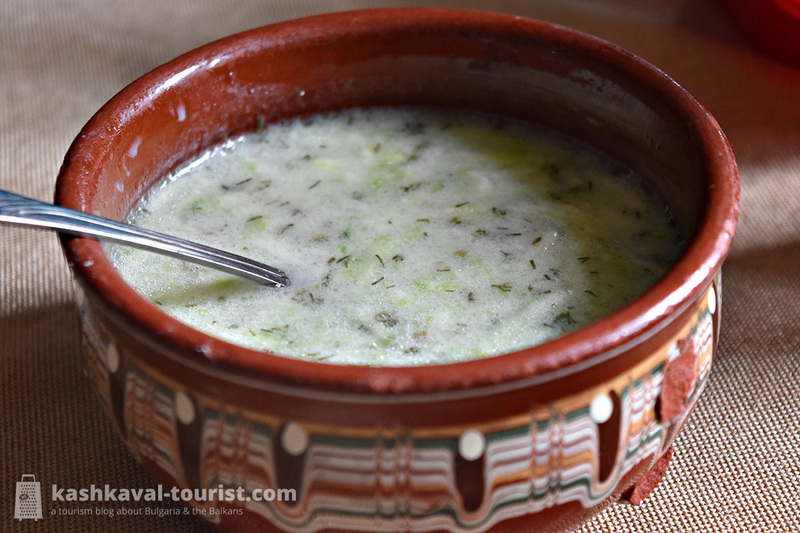 You may also like to try Snezhanka (Snow-White), the salad version of tarator which uses strained instead of watered-down yoghurt and is quite similar to Greek tzatziki and Turkish cacık. Oh, boy… there are so many more that would be on a Must try list… Make that at least 17 ;).. But you can really add any ingredient you want. In addition to the above I’d add eggs, cheese, sausage, butter, and plenty of spices like savory, black pepper and paprika. Tarator is basically a must during the summer! That list is great but how can you over look Bulgarian Chicken soup? That’s one of the wonders of the world! So many delicious dishes! I just arrived in Sofia and am really glad I came across this. Tartar it’s sauce, tarator it’s a soup. Read carefully. Raw meat is “tartare.” Shall I also caution to “read carefully”? Lots of chiefs on this thread. Lol. I would like to subscribe to Kashkaval tourist please. This is a great post! However, it might also be a good idea to give the addresses of some restaurants in Sofia where these traditional Bulgarian dishes can be eaten. I am allergic to mushroom. Do Bulgarians use a lot of mushrooms in their cooking? They’re part of some dishes, but not *that* much really. And thanks to EU regulations, restaurants are required to list allergens in their menu, so you should be safe. It’s highly unlikely that mushrooms would be used in a dish without that being mentioned in the menu. 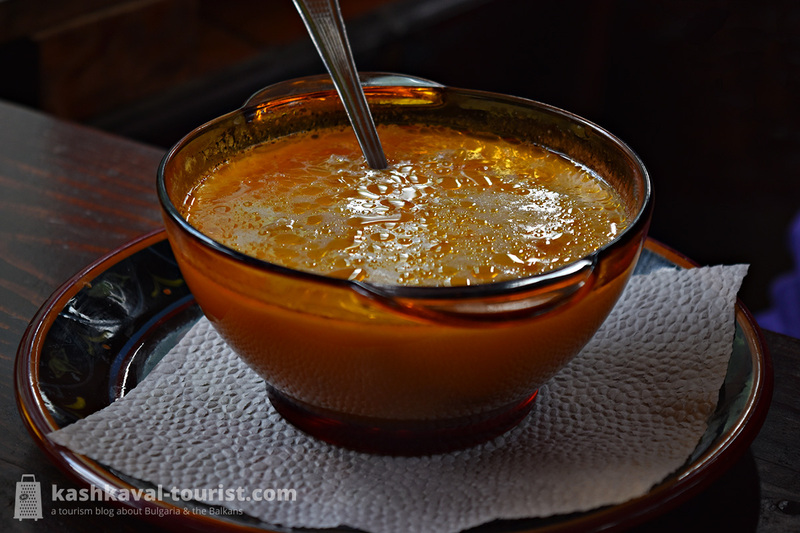 I did tried the tarator once while I was on Velliko Tarnovo, me being from puerto rico, the ingredients did not sound like anything that belonged in a drink. I have to say, difficult for me to swallow. But, in the end my stomach felt great, very good as a starter before a meal. Deffinetly will drink it again when I am back in Bulgaria. ‘Cause I need to go back. am happy i chanced upon this blog..